So if you've been following along with me you'll remember that I read We're Not Okay by Leah Grey in April (you can read the review here). Q: What prompted you to write "We're Not Okay”? A: This book is actually one of the first things I wrote on my blogging journey. It was meant to be a small eBook but it turned into a much bigger project than I anticipated! I wrote it because I personally knew of four teenagers who were struggling with suicidal thoughts or tendencies. As a teen, I also struggled with depression and suicide and had no "reason” to be that way. Like the kids I knew, I had a good life, I wasn’t from a broken family, didn’t struggle with ongoing mental illness and didn’t "fit the criteria” to be depressed and suicidal. Which led me to wonder, what is actually wrong with our kids? It’s simple; they’re really just not okay. Q: What is the one thought, or the big idea, that you would want your readers to have after reading “We're Not Okay”? A: That God loves our kids more than we do and to truly allow Him to parent our children, we first need to know how much He loves us. At the very core of it I wrote a book for parents about their kids that was really always about them. He has taken care of us and brought us this far, why do we not trust Him with our children as well? Well, because we’re not truly trusting Him in our everyday lives. When we know how much He loves us, we will trust Him to take care of us and then, we can allow Him to parent our children (in the same way He parented us!). Q: In the book you spoke a little of your rebellion story, were there any signs that your parents could have picked up on? If yes, what were they? A: Oh my parents knew. I went from wild to worse. I did drugs, I ran away, I dated all the (really cute) "bad boys”… but before all that? I was bullied. I was super insecure and I did all those things to fit in or to escape the bullying. The “smokers” are a very welcoming bunch with fifty-percent misfits, there is no judgement there. Plus, there’s safety in a crowd when you’re being bullied. I should have gone to therapy sooner. When I was sixteen we went to a terrible Christian family therapist who suggested I either move out of my parent’s home or go live in foster care which left me feeling totally and completely unlovable. My parents didn’t know what to do, I don’t blame them at all but it was a very hard year and it didn’t do anything to help my issues. Q: What does the graphic on the cover represent to you? A: It looks like my son! He’s a real outdoorsman plus, I’m a Mom of three boys: Two are mine and I have an older stepson. Q: What was the most difficult part of the book for you to write? That story is one I want to tell but I don’t know if I legally should so I’ve been watching what I say about it until it’s clear. I think it needs to be told but as I wrote the book I thought, “Maybe not yet”. So, that was a real struggle! Q: What was the easiest? A: The, “If I Were the Devil” rewrite was my favourite part. I’m an old soul as it is and something about that radio broadcast has always resonated with me so it was really fun to redo it! I even did an audio version that you can find on my blog at https://leahgrey.com/blog/if-i-were-the-devil. Q: Was there any advice to parents of children who may be going through a rebellious phase that did not make it into the book? If yes, what was it? A: It might seem counter-productive but I would say to go easy on them sometimes. The most important thing for a rebellious teenager is that they feel safe with you as a parent. They need to know they’re loved- always. I would also say to remember that you’re the voice in their head. Whether we want to admit it or not, the words we speak over our children (and the ones we don’t) have a huge impact on them. That’s a God-given inherit power in our spirit. God created the earth through “The Word”; wise parents will pay attention to how powerful their words are. Q: What were the biggest lessons that you learnt while writing this book? A: Oh, so much. I honestly don’t take credit for anything I write! Most of the time I read back things I wrote and I think, “Wow! I wrote that?! I didn’t even know all that!” I’m much smarter with God working through my fingers than I am by my own means. My husband says I can write like a Nobel Prize winner but can’t carry on a normal conversation. If I had to pick one thing, I would say that I continue to learn to trust God myself through all this. I pray over him every night and verbally thank God for him and how wonderful he is. That’s really all I can do is to love him to bits. Q: What type of feedback have you gotten on your book since you've published? A: All good! (Phew!!!) Many people have told me they were convicted in one way or another about their own parenting which was a big surprise to me because that wasn’t my intention. I also initially thought it would be more for parents of teenagers but I’m finding a lot of people with young children are also enjoying the book because they’re reading it as a “preventative measure” more than a “remedy” for trouble, which I think is GREAT for everyone involved! Q: What's next for Leah? A: I’m always doing something! I have a video course coming out in June on boundaries and how to untangle ourselves from a loved one’s addiction (and get tangled up in the love of God!). 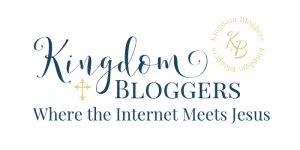 I’m also branching out a bit into helping other bloggers grow their messages because supporting other women in ministry is something that’s really been on my heart. This year you’ll see me come out of my anonymous closet! I’m planning to do a live launch of my identity. I’ll also be releasing another Bible study for women this year and I actually have another book in the works! It’s called, “No One Brings You a Casserole When Your Husband Goes to Rehab” and yes, it’s a little funny! It’s much more of my life story mixed with lessons on what God has taught me along the way. It’s meant to encourage and inspire women to use their stories to help others and grow into the beautiful woman that God created them to be. I don’t know if it will be done this year, it’s a real heart-project but I’m going to try! Want more words of advice from Leah? Pick up a copy of her first book on Amazon. Leah Grey moved to New York City full of hopeful aspirations until her husband went into long-term treatment for addiction. Unable to afford to stay, she picked up her childhood dreams and moved back to her rural, Canadian beach town with her two young children. From rooftop city skyline views to her parent’s basement, in the darkest time of her life, she created Grey Ministries to support, encourage and empower women with loved ones who struggle with addiction. With a practical faith-based approach, she challenges popular beliefs about addiction while teaching women in crisis how to find God’s peace within the storms of life. In March 2016, she launched her website, LeahGrey.com and online peer support community, “Live, Love, Hope”.